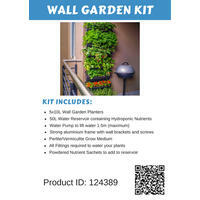 A Complete Green Wall System based on Hydroponics - remembering to water daily is a thing of the past. 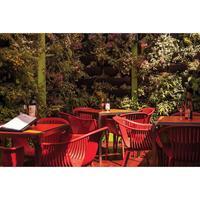 or 4 payments of $74.75 . 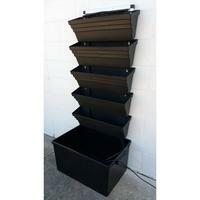 The Wall Garden planters are made from strong polypropylene plastic which is inert and has a long life. 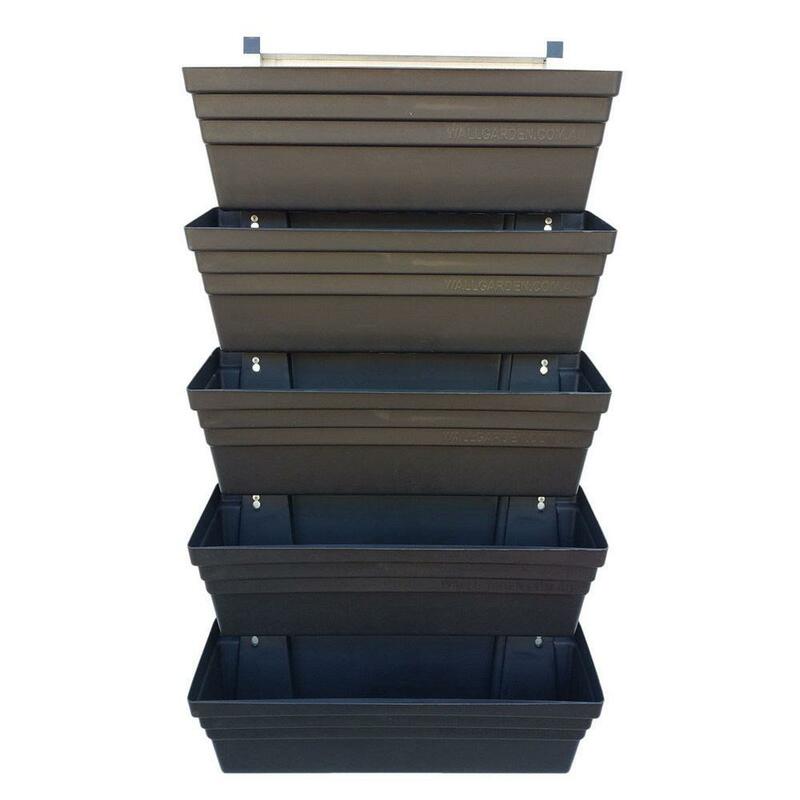 After the planters are placed onto the aluminium frame, they are filled with growing media for the plants to grow inside. 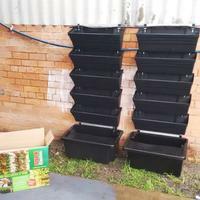 Using a perlite / vermiculite mix for the growing media saves using a heavy potting mix which degrades over time and causes blockages. The Wall Garden kit is supplied with a 50L tub which is filled with a solution of water and nutrients. 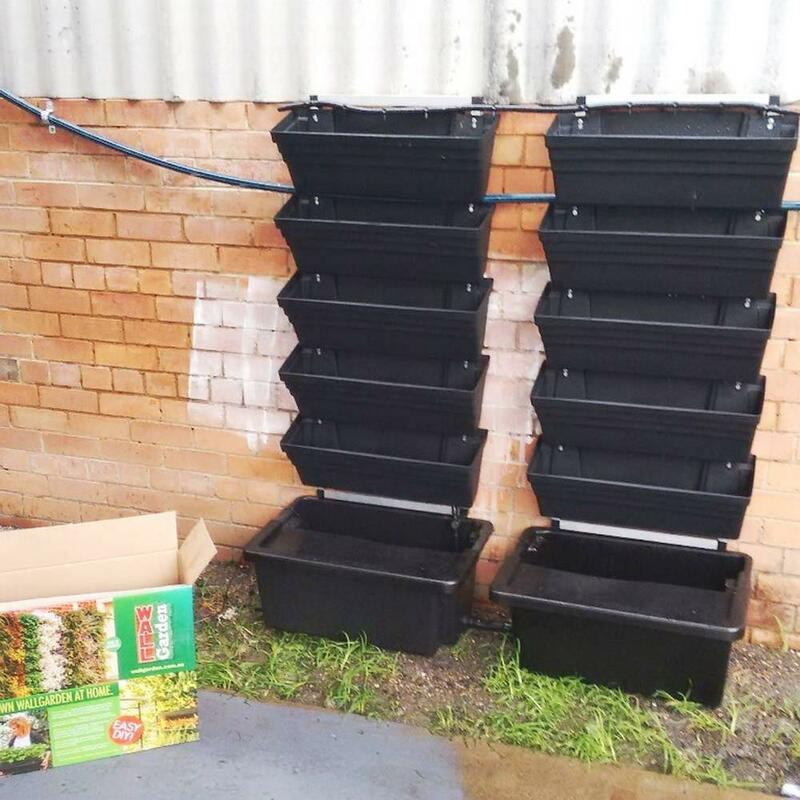 Using perlite / vermiculite with a nutrient solution is a form of hydroponics - plants will grow around 3 times faster than using soil! 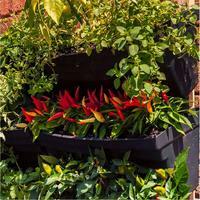 Plants grow upward on the Wall Garden planters like they would in a garden bed. 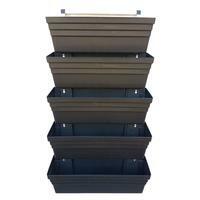 The planters allow you to build a vertical garden with more plant varieties that grow healthier and more full. 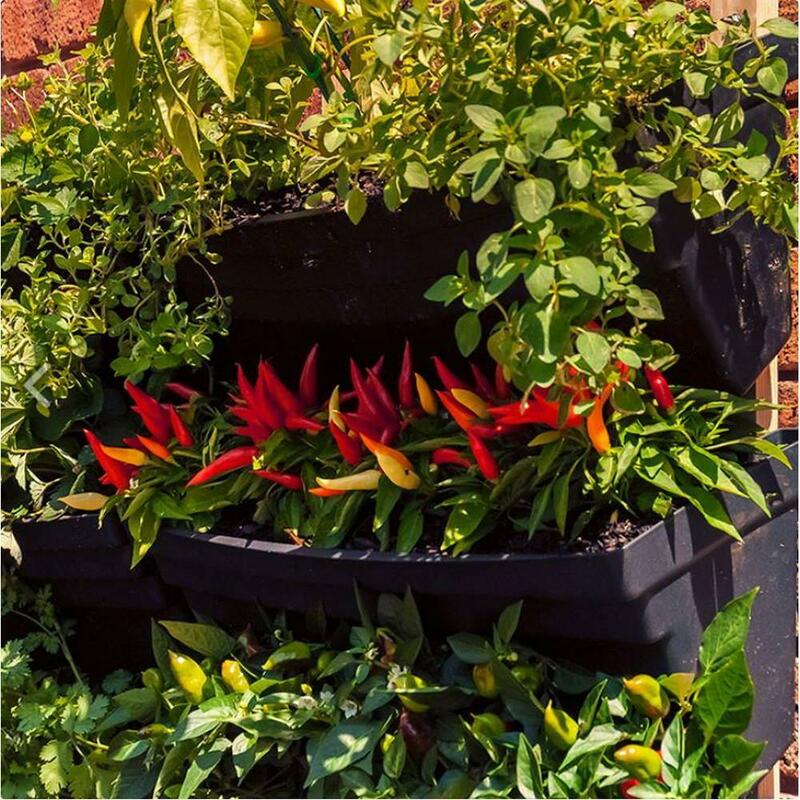 Wall garden is an easy way to successfully grow herbs & veggies. 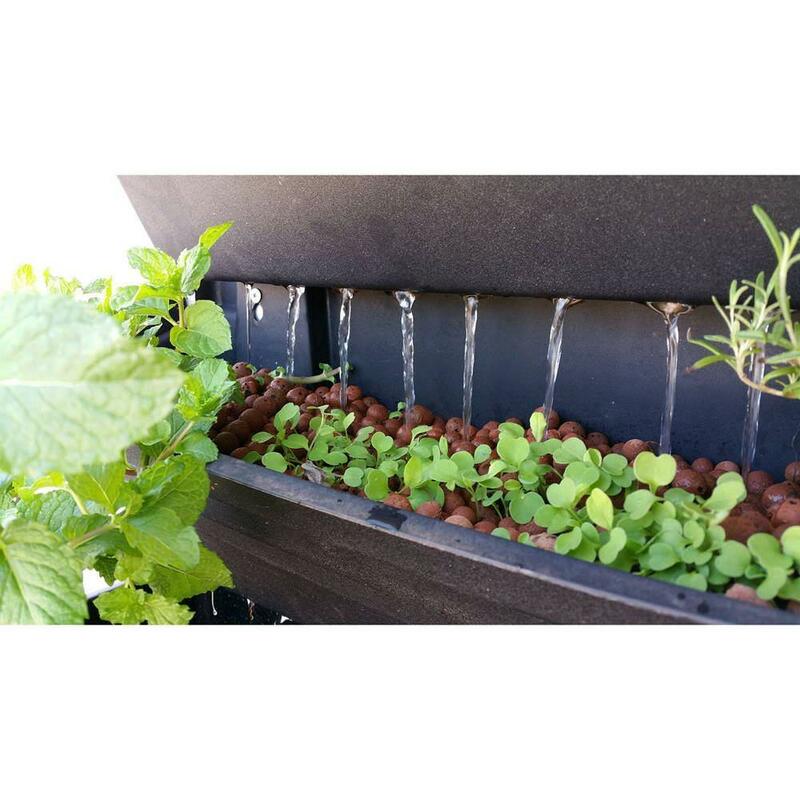 It's the perfect way to create a new edible garden in your backyard or on your balcony! 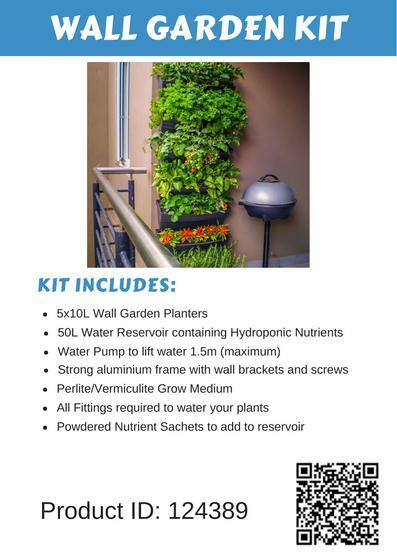 Building a vertical garden has never been easier. 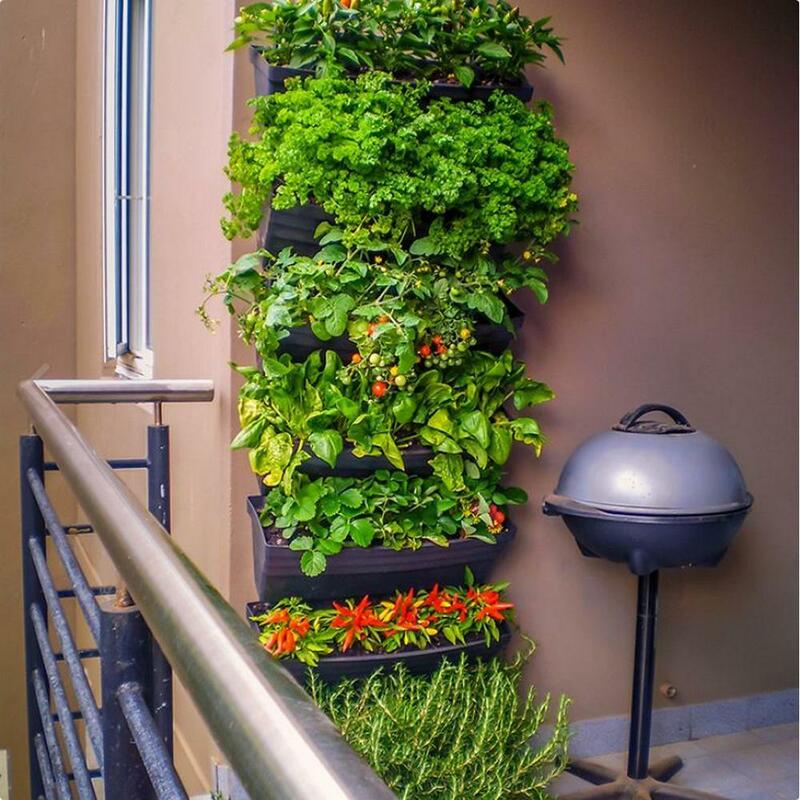 All it takes is a drill and a screwdriver, and you have an amazing green wall or edible wall garden. Create what you want! 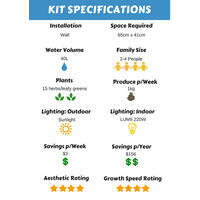 A 240V power source is required for the kit. 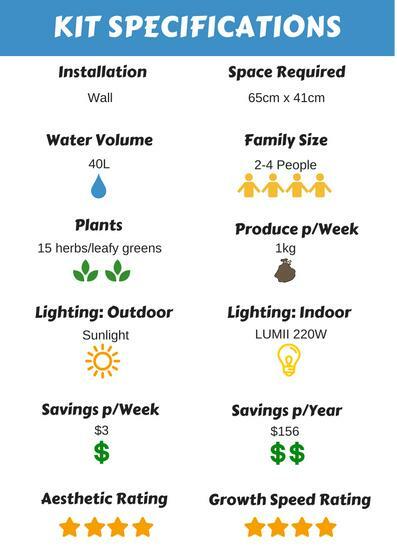 The pump included in the kit has a 1.5m cable. 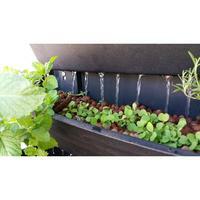 A preset wall timer is provided to start the pump and water the plants 3 to 4 times a day.